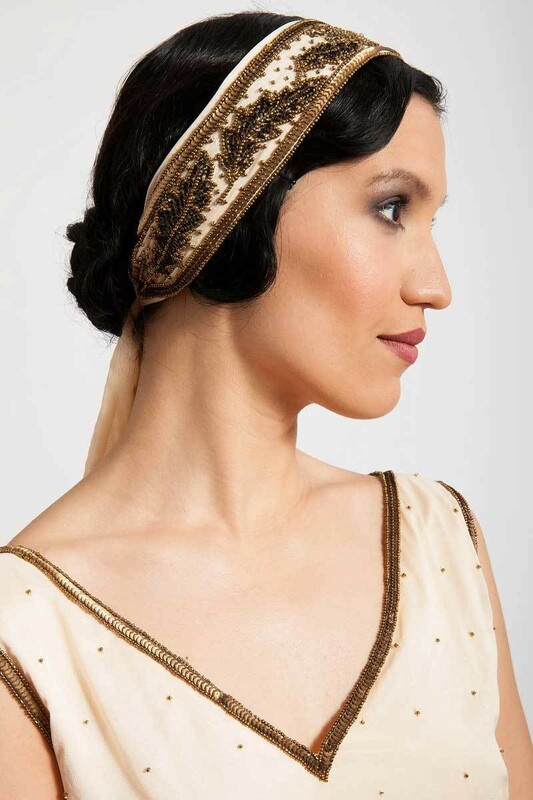 Add 1920s flair to any outfit by adding the Barrymore Headpiece in Creme to your cute cropped cut or classic up-do. 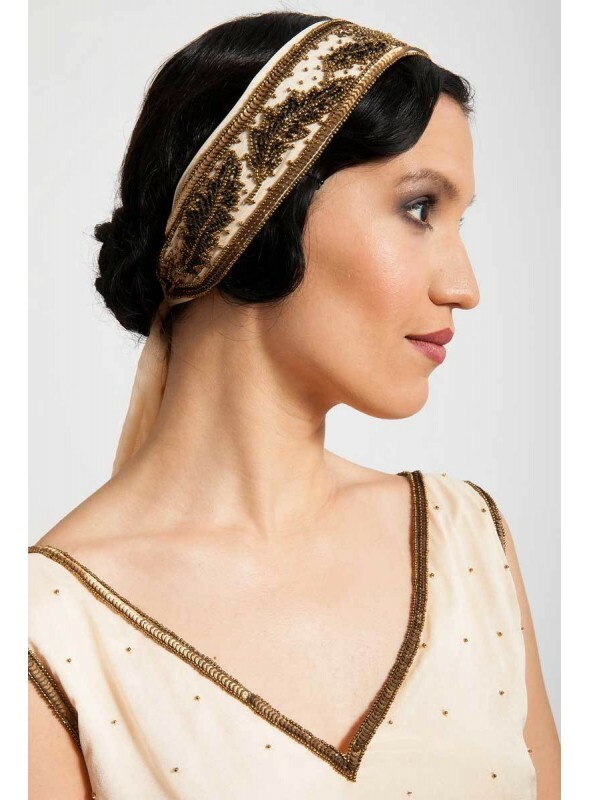 Accented with shimmering beadwork, the gorgeous golden color ensures it will pair perfectly with any ensemble you can dream up. 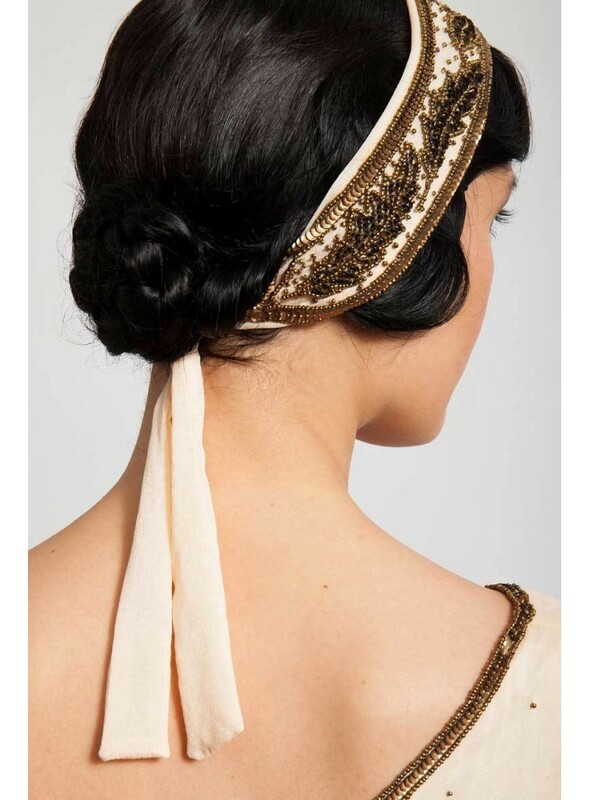 Organic appliques give this exceptional hair accessory a unique look you’ll simply love.